I’m not sure how much of this old adage is true, but it has given me comfort over the years when I’ve been missing someone or something to find signs in their absence that their presence is still very much felt. I know I’m speaking with analogies. I don’t wish to, but this comes very hard for me to say that I’ve been feeling the guilt of being absent from the both of you. When dishes are left in the kitchen sink not washed. Washing still hanging out on the washing line a day longer after the clothes were already dry. Or clothes sitting piled and unfolded in the basket for days on end. When toys you had played with are left strewn across the carpet, in nooks and crannies that I have neglected to tidy. And dust fairies magically caught in the sunlight. Then it feels like I have neglected my duties of running a house. The standards that I would only describe of giving you a comfortable home and making sure you’re fed, safe and loved all in an appropriate manner. I felt those standards have slipped and there lies the guilt. I know others will say that I’m being too hard on myself and many mothers like me who work as well as being home to take care of their family feel the same way too. Maybe I am being too presumptuous in thinking it will do any damage. I know in the past when I had felt resentment to my own mother (your por-por) for spending too much time doing things around the home or garden on top of her part-time job. That is by-the-by and I’ve learnt to let go of a lot of things in order to maintain a healthier balance to make sure that I am there for the both of you. Or to be as present as I can be. While the both of you appear to seem happy to give me the space to go and play amongst yourselves, while too frequently I do some work in my office, I wonder what you are really thinking, especially when there are occasions when one of you would call out for me, and I say, “I’ll be there in a minute”. The reality is it always take much longer. The hard thing for me is that I won’t know, at least not until you are both older. And I don’t want to wait to find out. Maybe I am dreading what I might find and beat myself inside until I feel immobilised by anxiety and fear of not knowing what to do right, both as your mother and carer along with being a wife too. I know it’s useless to get myself into an overwhelming panic. I have taken steps to set some boundaries for myself that I hope will give me a better work-life balance. I know that it’s fine to indulge and take some days out, so I can go and spend some time with friends and enjoy my favourite pastimes, whether with you or on my own. It might seem hard to understand for the both of you right now, but I need that mind space so that I can look after myself in order to be present for the both of you. I just want you to know that everything I do, I do for the both of you. It maybe a cliche, but it’s true. I hope the both of you will go forward in life always knowing that and be able to forgive the times when I am a little absent and know that I always love you. 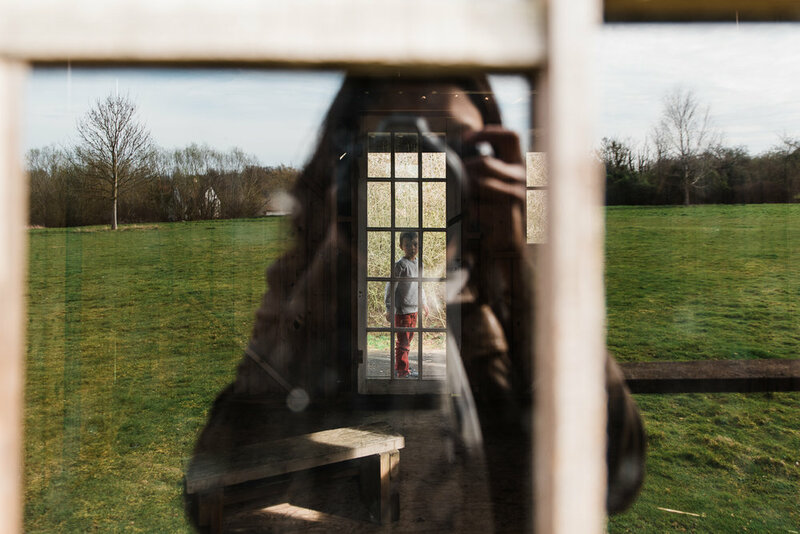 This is part of ARTEFACT MOTHERHOOD - a project shared with other female artists who are documenting our journeys as mothers and creating memories for our children through our photographs and words. Go to the next artist and beautiful photographer Ann Bloom to read her blog post in this series and follow around our blog circle. Diana Hagues is a newborn and family photographer in Cambridge, who specialises in capturing real moments and emotions that tell the authentic story of your family. I offer Real Motherhood Sessions for mothers who would like an authentic record of their motherhood journey with their children that will be relived in years to come. Contact me for more details or find information about my family or newborn sessions here.